David Helwig’s place in Canadian letters spans practically every realm. He is one of a generation of writers—including Alice Munro and Margaret Atwood—to achieve wide critical acclaim in Canada. With the publication of Coming Through: Three Novellas, American readers can now discover and appreciate this Canadian master writing in his favorite genre. Opening the collection, The Man Who Finished Edwin Drood is a shadowy comic-gothic set in the frosty landscape of the Canadian Maritimes. An affecting and humorous tale that warms the heart on the surface, it also delivers, with masterful subtlety, blood-chilling news from below. The narrator, a lawyer who identifies with the murderer in the unfinished novel by Charles Dickens, contemplates finishing the book himself, until his wife’s cuckolded first husband arrives to take up hospice, a mysterious young man appears out of a snowstorm, and a coffin built by Jane the Carpenter awaits on sawhorses in the basement. Interposed like a virtuosic cadenza, The Music of No Mind is a trenchant and often exhilarating intellectual romp in the form of an erudite post-disciplinary lecture. A retired professor is asked to fill in at the last minute for a famous friend and colleague who has suddenly died in a New York City hotel. As the stand-in delivers his three-part monologue—a hilarious and free-associative rant that invokes, among other things, art history, musicology, and a bygone game of badminton—he also hints at the dramatic and until-now hidden life of his friend, the erstwhile academic celebrity. Crowning the collection, A Prayer to the Absent is a droll and tender story about a stubbornly unromantic romance. Carman, a retired Toronto policeman, takes to exploring rural backwaters after his wife's death. When he rents a cottage north of Kingston, Ontario, from Norma, the cantankerous proprietor of a curio and junk shop, the sparks fly. These richly and lovingly limned characters are stories in themselves—like two aspects of a profoundly human question. David Helwig was born in 1938 and raised in Toronto and in Niagara-on-the-Lake, Ontario. He received a B.A from the University of Toronto in 1960 and an M.A. from the University of Liverpool in 1962. He taught nineteenth-century literature full-time at Queen’s University in Kingston, Ontario, from 1962 to 1974 and part-time from 1976 to 1980. He was Literary Manager for CBC TV Drama from 1974 to 1976. Helwig is the author of more than forty books in all genres: novels, short fiction, poetry, plays, and essays. The Names of Things: A Memoir was recently published in Canada to wide acclaim. He is the founder and long-time editor of the Best Canadian Stories annual and was an acquisitions editor for Oberon Press from 1992 to 1997, where he acquired more than twenty titles. 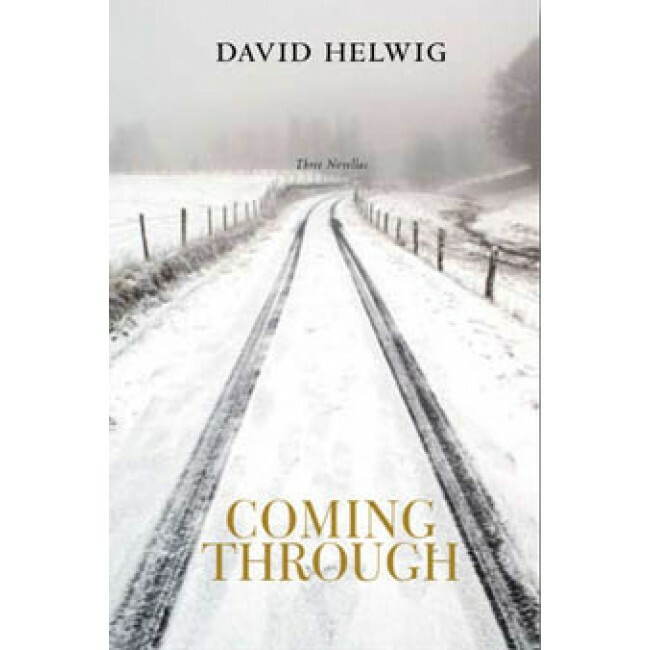 Helwig’s journalism has been published in Toronto Life, Quest, Imperial Oil Review, VIA Magazine, and Canadian Geographic and his book reviews have appeared in the Toronto Star, the Kingston Whig-Standard, Books in Canada, and the Gazette of Montreal. He wrote regular columns for the Globe & Mail from 1990 to 1992. His works for radio and television include: radio scripts for CBC Stage, Soundstage, Sunday Matinee, Scales of Justice, Morningside Drama, and Vanishing Point; original television episodes for Backstretch, The Great Detective, and Sidestreet; as well as regular commentaries for The Arts Tonight, CBC Radio. Helwig has been a jury member of the Canada Council, Governor-General's Awards, Ontario Arts Council, Manitoba Arts Council, PEI Arts Council, and New Brunswick Arts Council. He is the recipient of the Belmont Award for short story, the CBC Poetry Prize, and the Atlantic Poetry Award. He lives in the Canadian Maritime Province of Prince Edward Island.